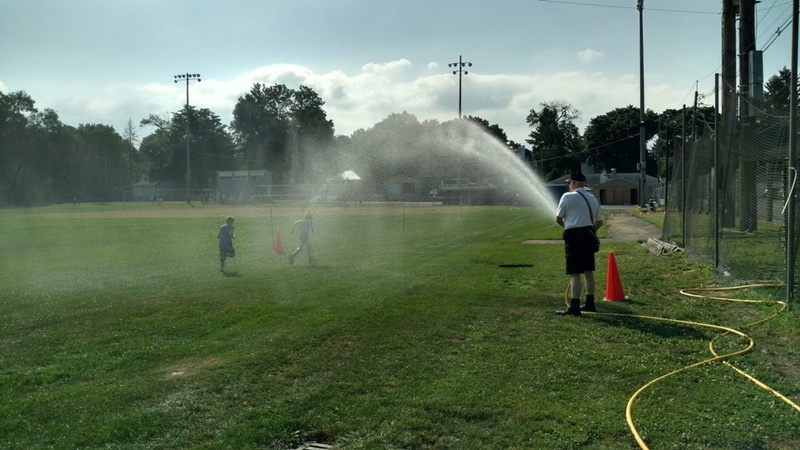 All ages participated in the Recreation Department’s Fun Run Obstacle Challenge and Triathlon. 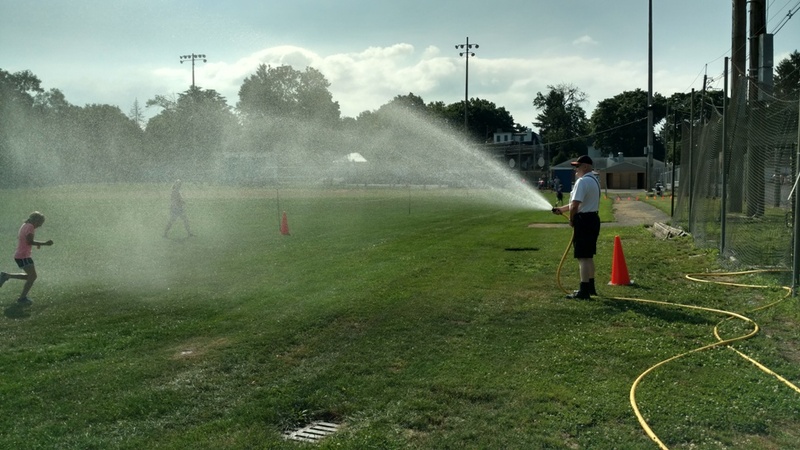 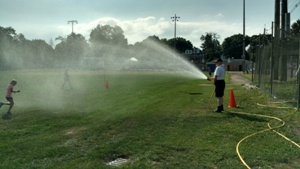 Participants ran, climbed, hurdled, and crawled their way through a series of fun obstacle challenges to reach the finish line where they cooled down during the last leg of the race by sprinting through the Fire Department’s sprinklers. Our own Chaplain Witter joined the fun by providing the splash.